Citric Acid in powder form which is usually mixed with Sodium Bicarbonate to make bath bombs. 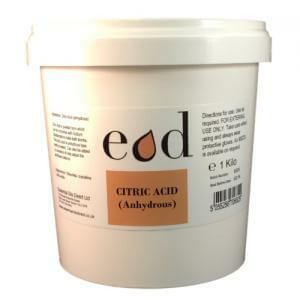 Our citric acid is anhydrous (which means without water). Take care when using and always wear protective gloves. An MSDS is available on request.